It’s official — Russian collusion conspiracy truther Democrat Rep. Eric Swalwell (CA) announced his 2020 bid for the White House on Monday. Rep. Eric Swalwell of California has done more than most other Democrats in spreading the Russia collusion hoax for two years. The California Democrat will announce his White House bid on “The Late Show with Stephen Colbert” Monday evening. “Boy, did it feel good to say that,” Swalwell added. Swalwell just jumped into a crowded pool of Democrat clowns running for president against the highly popular incumbent Donald Trump. Last week The Hill reported that Swalwell’s campaign will center around gun control. 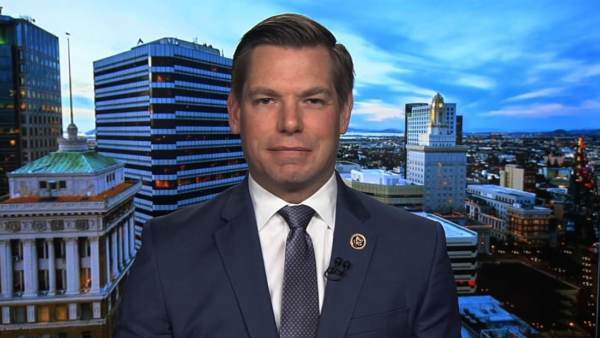 The post It’s Official: Russia Conspiracy Truther Eric Swalwell Announces 2020 White House Run appeared first on The Gateway Pundit.